Franny’s was like the perfect ex-girlfriend that somehow got away. You loved the pizza restaurant deeply for more than a decade, and your friends wistfully recount the time they first met her: She was comforting, nourishing and somehow endlessly exciting—wife material, for sure. 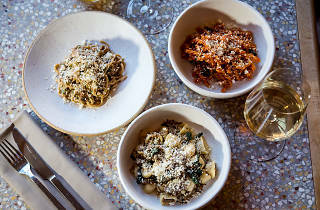 But, damn, if you haven’t found a keeper in Fausto, the seasonal Italian beauty that’s slipped seamlessly (sans pizza) into Franny’s former space. 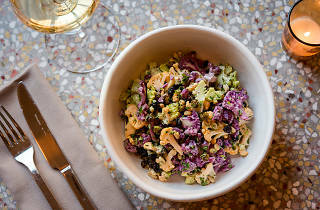 Fausto, from restaurateur Joe Campanale and chef Erin Shambura (former coworkers at L’Artusi and Franny’s regulars), is a restaurant with a rare and seemingly effortless balance. The multitextured room is sophisticated but cozy; its warm camel tones and Art Deco touches snake around a Carrara-marble bar and a roaring open kitchen. Servers engage but don’t annoy. One may even arrange a blind taste test from the reasonably priced list of small-producer wines to cure your dining companion of a self-diagnosed “riesling phobia”—a goddamn miracle! 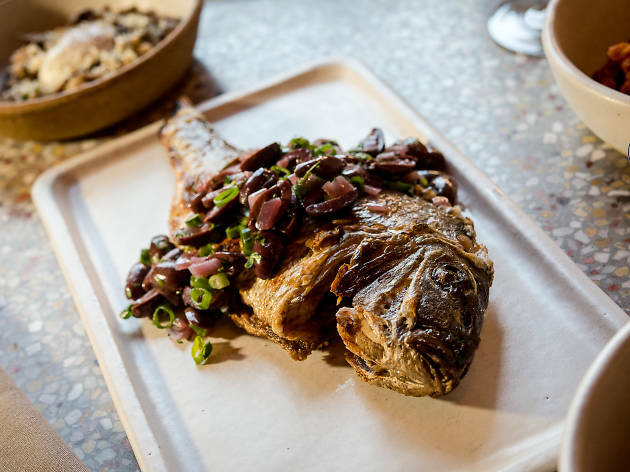 It’s neighborhoody and destination-worthy all at once: a dining room where neither Brooklyn’s squirmiest toddlers nor Manhattan’s splashiest chefs would seem out of place. 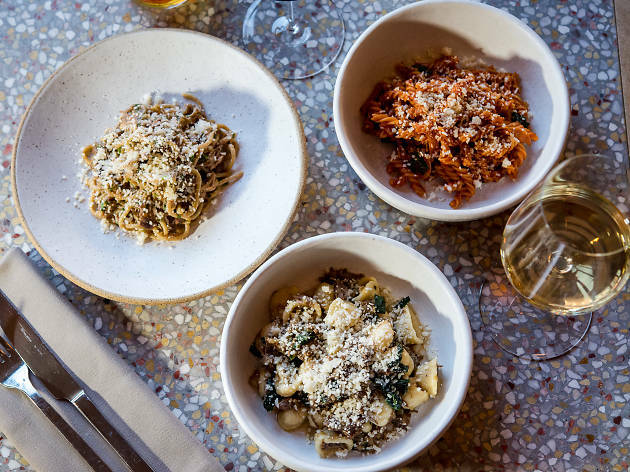 In the countless locally driven, regional-Italian restaurants scattered across the city, the path from primi to antipasti to secondi often unfolds like a boring movie you’ve already seen. 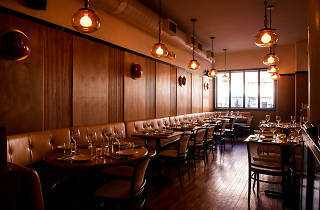 But under Shambura’s care, even the most familiar dishes inspire renewed affection. 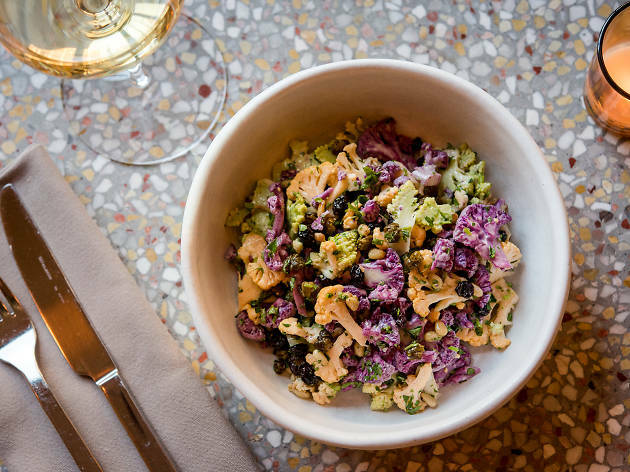 Take a starter of yellow, green and purple cauliflower—some roasted, some shaved, some fragmented into crunchy bits—impeccably attired in that timeless Sicilian robe of briny fried capers, musky anchovies and sugary currants. Or try a poached egg oozing into a cradle of roasted mushrooms and plush farro, with mushroom stock, Parmesan and the tang of sherry vinegar. It speaks well of Shambura’s pasta when your friend decides to rank each of the three bowls on the table and finds she cannot. The orecchiette is her favorite, of course, with creamy hunks of fennel-cured pork shoulder and tender kale. Actually, maybe it’s the bigoli: long, craggy noodles awash in a ragù of satiny duck legs flecked with crackling shards of skin. Yeah, but what about that fusilli with tomato sauce and basil? 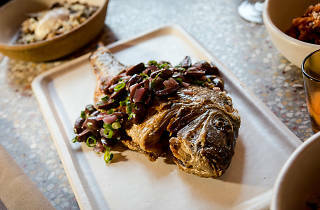 Fortunately, this carb-based existential crisis subsides as soon as you take your first bite of the grilled, smoke-kissed lamb loin chop or the wood-roasted porgy, with crisp skin, soft flesh and an entire olive bar’s worth of gloriously salty kalamatas mic-dropped over the top. But remember your manners: Fausto is no rebound fling. 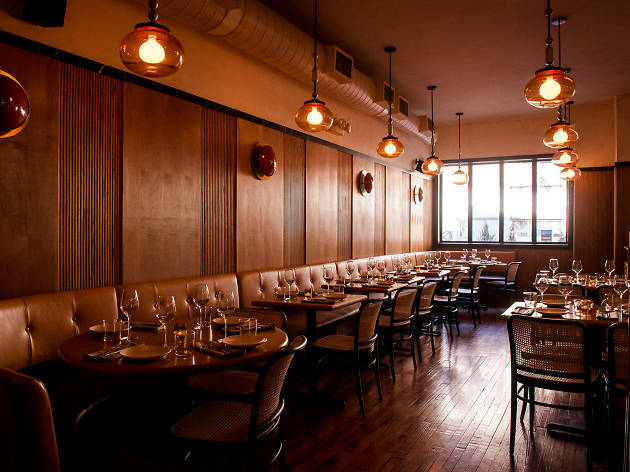 This is a restaurant you introduce to mom and dad—and everyone else.